Over the past several years I’ve had the privilege of working with quite a few machine building companies. I’ve seen how they operate from the inside; some more successfully than others. In a series of guest posts while I was traveling in Central America, Doug Alward described the evolution of custom machine building in his “Lessons of Automation” series. He described how many of these companies were swallowed up by larger companies or investment groups, not always with the best results. Indeed, all but one of the companies I have worked with since closing my own small machine building company in 2006 was bought by a larger company, some several times. These larger companies and investment groups must see something lucrative in custom machine building, despite all of the volatility and cyclic nature of the industry. There are a few common trends I have noticed with these machine builders. The most successful seem to identify a core competency and stick with it. If they are good at robotics, they concentrate on that. If they build good dial table or indexing assembly systems, they become known for that and customers tend to use them over and over. Some find success in certain industries; packaging, medical device manufacturing, wastewater, automotive are all examples of this. Some even find that manufacturing standard products is the way to go, developing several models of a particular product and refining it. This sometimes turns good custom machine builders into great OEMs. There are also some trends that indicate that a company may be headed in the wrong direction. Companies that focus on too many different segments of the market may find that they are not particularly good at any one segment. There also seems to be an optimum size for a custom machine builder; too small and the cycle of design-build-debug-support eventually catches up with them, either because of lack of capital or lack of human resources. I discovered this the hard way when running my own company. If a company is too large they may end up with too much overhead to execute efficiently and compete with the smaller companies. Large companies also seem to lose focus on their core competency and become overly bureaucratic. As a company grows because it is good at what is doing it can become difficult to decide when it is the most appropriate size and force itself to stop growing. There are a couple of important things I believe custom machine builders can do to improve their chances of success when they find themselves approaching that “too large” status. One is to standardize as much as possible. When there are lots of employees in a company, no matter the techniques used to qualify talent the quality tends to average out. While a group of gifted engineers and technicians may be able to successfully execute a project without a well designed system, when a disruption occurs most project teams need well established procedures to keep them on track. Templates, tools and written standards can help make teams more consistent. They also provide well-documented guidelines for contract workers and new hires. Along this same line, having a standard product or group of products that can provide work for project teams during slow periods can be helpful. Machine shops for some larger companies may do tool and die work. Welding shops may build assemblies on non-machine projects. Some larger companies have found success by building standard machine assemblies such as indexers or multi-axis systems for commercial use. 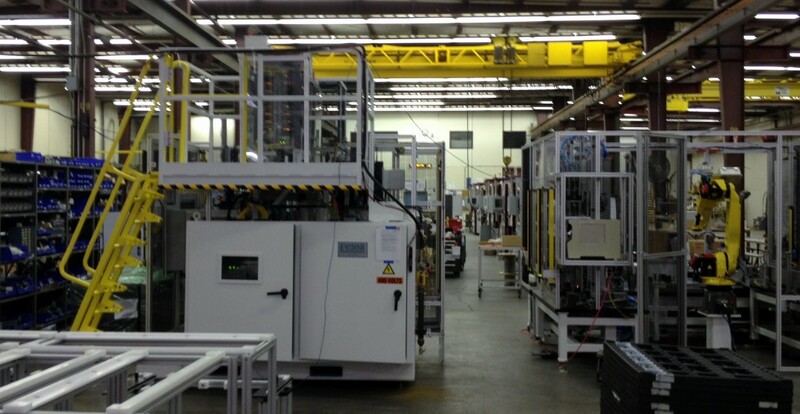 Panel shops may do work for other OEMs or plants. Creating standard software products is an under-explored use of engineering talent during the dips in the work cycle. Keeping a core of expertise in the controls, mechanical, software and design departments is important also. Successful machine builders keep their best talent and find good contract resources to fill in the gaps. As machine builders become too large, the local resource pool often can’t provide talent in large enough quantities to keep projects on schedule. Companies have to go farther and farther afield to find good engineers and technicians, this can end up taking a big bite out of the bottom line. It may be a coincidence, but I know of only two companies that appear to be having a great deal of success currently as custom machine builders. They are of similar size, are owned by larger companies but only have one location each for their custom machinery operations. Both appear to be attempting to grow quickly and neither have a good set of templates and standards in place. It will be interesting to see over the next few years if they can successfully reach that “next level”. And who are these two companies? I’m actively looking for a custom machine builder to partner with.